Whether you are a professional designer bringing in the big bucks, or someone who does design for a hobby, most of us will generally be away from our homes when inspiration hits, and then what? Fortunately in our ever evolving world of smart phones, tablets and technology there will always be some way to quickly get your idea down in a physical environment either on your iPhone or your iPad. 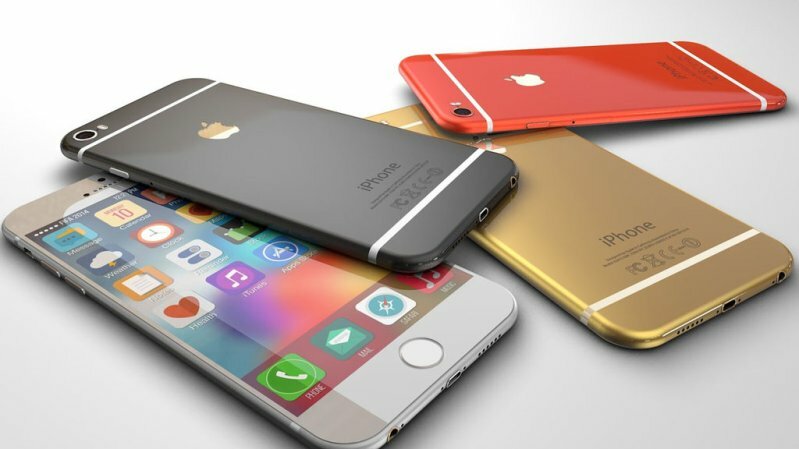 Here we count down 10 must-have apps for your iPhone or iPad. This app is very, very cool. 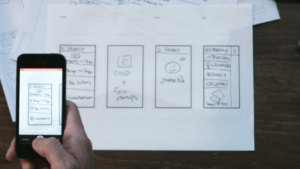 Anything that you draw in the real world on a piece of paper can be photographed by POP (Prototyping On Paper), allowing you to then interact with your creation via your smart phone or tablet. 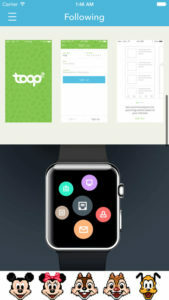 Used by students, advertisement agencies and entrepreneurs alike POP is a sure fire way to get your project from sketch pad to completion. POP also integrates high security, using 128 bit SSL encryption, so you know your designs will stay safe. POP also allows you to duplicate, import, organise and share with ease. This nifty little app fuses the world of education with the world of Apple Applications, having the largest online database of tutorials, courses and training. Udemy allows you to learn on the go, whether you are commuting to work on the train or taking a long haul flight across the world, this app provides no excuses when it comes to further education. 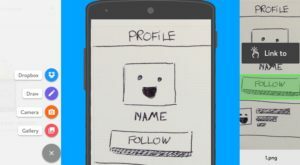 This application allows you to choose from a vast number of categories to further your knowledge on any given subject, from things such as business and development, to music and languages, and yes, it also offers courses on software and design, to better further your understanding of the latest developments in design software. 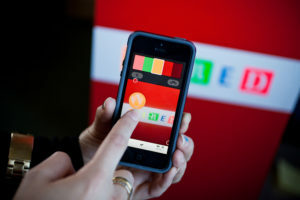 Adobe Color is an app that let’s it’s users create their own colour palettes or colour themes from any picture source they can think of. You are even able to create a colour palette from your phone or tablets camera, leaving no end to the type of colour schemes you can create. Using the apps ‘Color service’ let’s users automatically sync any colour palette they create with their Adobe desktop applications such as Photoshop or Illustrator. 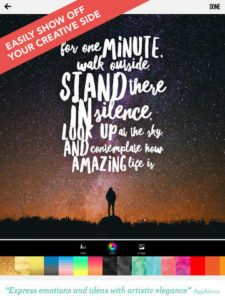 Adobe Color also let’s you upload what you create, and with cloud sharing technology allows you to browse other users’ creations, so inspiration is never far away! Whilst Word Swag might not require too much technical input, it’s a great application that allows even the most novice of designers to create something inspiring. With hundreds of pre-set quotes, jokes and thoughts, you can quickly assemble eye catching and thought provoking layouts that would normally take you hours. This free application for your iPad and iPhone is a quick, simple and smart way to test your icon designs on various backgrounds. This tool is a necessity for all those of you who are app developers or designers, offering you a limitless way of making sure that your designs suit the backgrounds you choose. 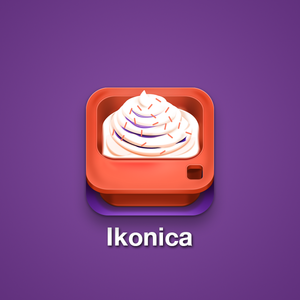 Ikonica is available for iOS 6 and later and is FREE from the Apple Store. 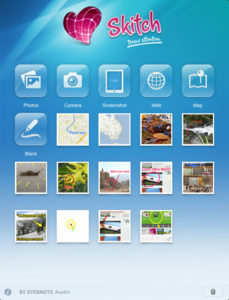 The app allows you to directly load images from your camera roll, drop box or your camera to make things even easier! Now, what looks good against a purple polka dot background? Dribbble is a place for all designers to showcase any of their past and present work, and Design Shots is an application that allows you to quickly and easily browse these pieces of work on your iPhone or iPad. If you are looking for something inspiring then look no further than this app, with the ability to scroll through GIFs, images and designs with ease. You can even share your favourite artist’s work for viewing at home or elsewhere, allowing inspiration to stay with you throughout the day. Used by designers and lecturers alike, Skitch is a wonderful and simple way to share your thoughts and ideas visually with other people. Giving and receiving feedback is important, and with Skitch this is made very simple, by using annotations, sketches or even shapes you’re able to easily share your feedback with everyone else instantaneously. Skitch is a free download from the app store for your iPhone and iPad. Let your ideas stand out! Loose Leaf is a great way to share your sketches, ideas and annotations. This app utilises a cutting and cropping feature, allowing you to shape any photograph to your liking in a simple and functional way. 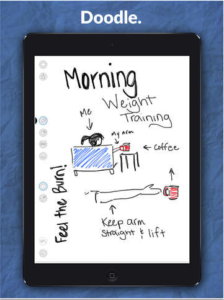 Loose Leaf is essentially an old style white board fused into an iPad application, allowing drawings and images to be quickly thought up, drawn, edited and deleted in a convenient efficient manner. Now you have no excuses to write down or draw that idea that’s just popped into your head. Let’s get our sketching on!! Marvel works in a very similar way to POP, in that you are able to quickly sketch something out on a piece of paper, photograph it and then interact with said drawing on your Apple device. Marvel also offers a collaborative working environment, allowing you to share your drawings/ideas with other Marvel users, even letting people comment on your work directly, giving you endless amounts of feedback (or constructive criticism). All your designs can be synced with your cloud storage devices, such as iCloud, DropBox or Google Drive, letting you access your drawings on the go, day and night. Who says designing stuff has to be in an office? Fontli styles itself as being a type of social media for those of you interested in typography. Yes, this passion for fonts extends beyond boundaries even we thought didn’t exist. Fontli allows it’s users to photograph and upload weird and wonderful font types from any source, such as a store front sign or graffiti found in an urban area. Once uploaded, users will then tag what type of font it is, allowing people to better understand the type of font they have seen, and even allow them to independently look for similar fronts online at a later date. Fontli is available for free from the app store and compatible with your iPhone, iPad and iPod touch! 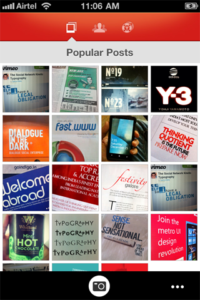 We think this app is Fontastic….. If you liked this article please share it with your friends on Facebook and Tweet it to your followers below.